So many critical security vulnerabilities have been fixed in newer Tor Browser Releases. One of such severe security vulnerability was addressed in Tor Browser 8.0.6, which is their latest release. Tor, being a pro-security network is known for doing all that’s within their control to make sure that the user’s privacy is protected at all times. While users on the Tor network are protected from government surveillance, ISP monitoring, traffic hijacking, etc., the browser connects you to the Tor network seamlessly. Generally, the Tor Browser helps users to stay anonymous online; protecting them from advertisers activities, browsing habit hijacking, traffic monitoring, ISPs censorship, and prying eyes. The latest release of the Tor Browser addressed a severe Mozilla Firefox ESR 60.5.1 security vulnerability. A few texts from the browser’s change log page is copied hereunder to help you understand why updating to the latest version is recommended. Since this newer release comes with significant security fixes, we recommend that you visit the download page of Tor to get the latest browser version. Apart from the Firefox ESR 60.5.1 security vulnerability fixes, this latest Tor browser release also updated HTTPS Everywhere add-on as well as fixed some minor bugs with the earlier version. In case you don’t know what TOR network is or haven’t heard about the Tor browser before, this section is for you. 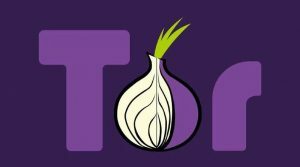 TOR, also known as “The Onion Router” is an anonymity software that helps protect your identity and online activities. The world over, Tor is used by journalists, people under a dictatorship, security officers, etc. to keep their online activities away from prying eyes. Traffic hijacking, browser habits monitoring, and online surveillance can be prevented easily with Tor. While Tor isn’t a complete replacement for other Free VPN projects, it adds a primary or secondary protection layer (depending on your unique privacy needs). It also lets you host 100% private websites through their hidden (.onion) hosting services. So the choice of whether to use or not to use Tor depends on your unique privacy needs. A regular online user that checks his Facebook, Twitter, Instagram, etc., does not need Tor. But someone that needs protection from prying eyes, government surveillance, ISP monitoring, etc. can use Tor and/or VPN programs to secure their activities on the internet. 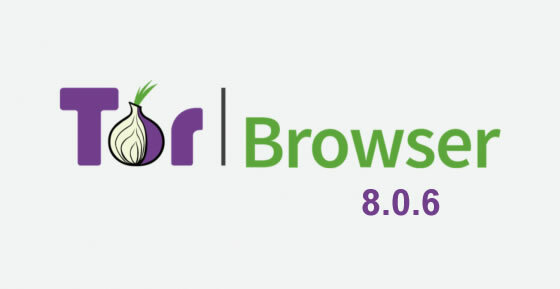 What’s your take on the latest Tor Browser 8.0.6 release? Share your views and opinion below.